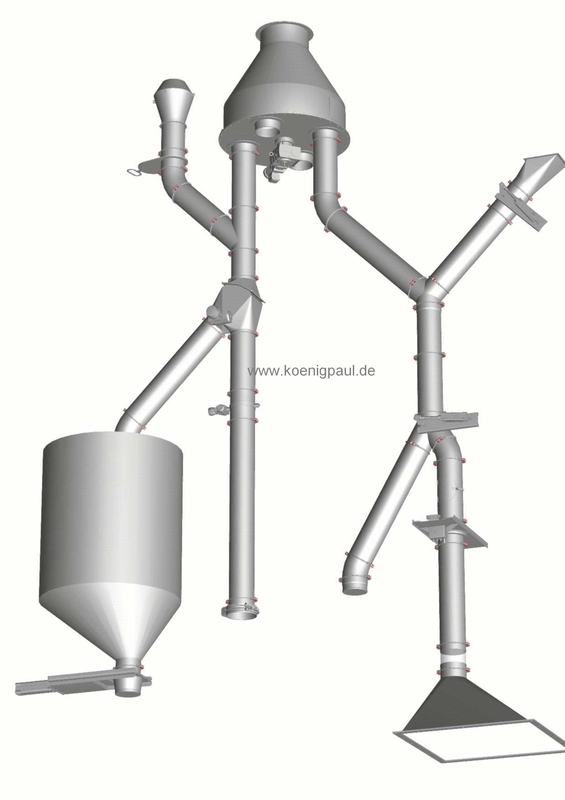 We offer pipes and fittings for breather and bulk density technology. These pipes are implicated in all areas where a given material is blown, vented or transported. We offer pipes and fittings in a modular design. Pipes dimensions in accordance to DIN 24151 from cataloge (with clamping flange and formed flange) in standard and stainless steel. 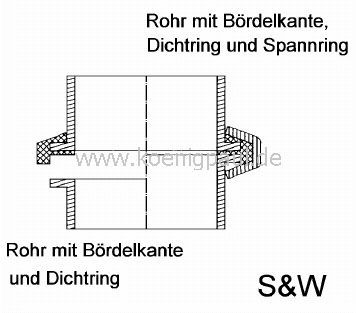 Pipe dimensions: clamping ring pipe type Ø50 mm to Ø630 mm, flange pipe type Ø200mm to Ø1250mm The pipes and fittings are pressure tested. Pipes with the CLIC connecting system. Pipe dimensions Ø 50mm to 200mm. Quick and easy installation. Absolutely ideal for simple non abrasive material air evacuation and air transport in standard and stainless steel. The CLIC system elimnates clamps and flanges therefore reducing costs approximately 30%. X-act-rotational pipe distribitor and rotaional pipe diverter with 3-21 discharge in pipe dimensions 80-300mm. Designed with a patented expansion gasket seal. 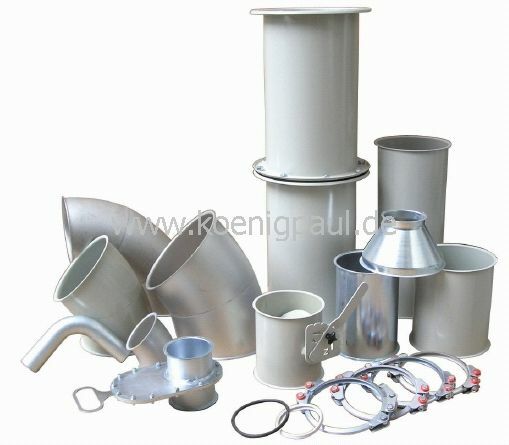 A wide range of hardware for pipe installation. Beginning with compression clamps, slide pipes, control connections, system and mounting clamps to include inclement weather covers. When an item is not listed in the cataloge we can fabricate the components to the customers requirements. Presently we fabricate approximately 40% of our components according to the customers technical drawings. We can help and assist with your design and calculation of material transport, piping lengths depth pipes and blower pipes. Pipes with clamping flanges, formed flanges and two part clamping rings. We offer a wide service spectrum for pipes and fittings with pipe dimensions DIN 24151 in modular system design. Our service extends beyond the standard cataloge. Interested? Ask about our cataloge!